However, after being confined to the house for a couple of days we decided to go out for a short walk and get some fresh air. We only walked around the block but we were amazed at the amount of wildlife and autumnal scenery we saw just outside our front door. 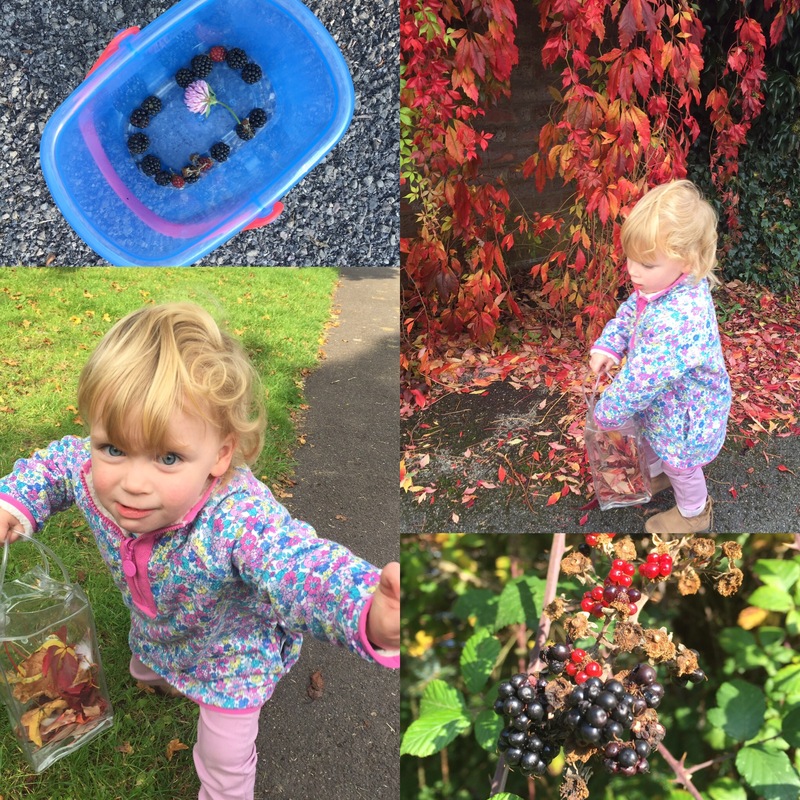 From blackberries to caterpillars and red berries to squirrels. We found conkers and helicopter leaves, fire leaves and magical twig wands. We played in the small play park, which we always drive past on the way home and went tree climbing in the grassy area next to our house. 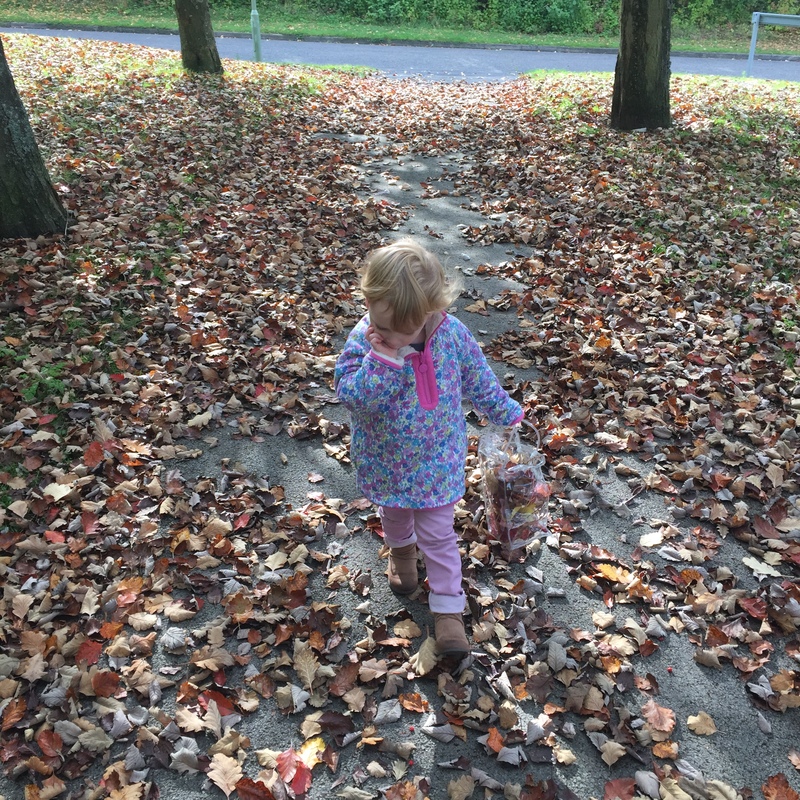 Our walk ended following the path back to our house and we collected leaves and bits of ‘nature’ to take back with us and make some land art. 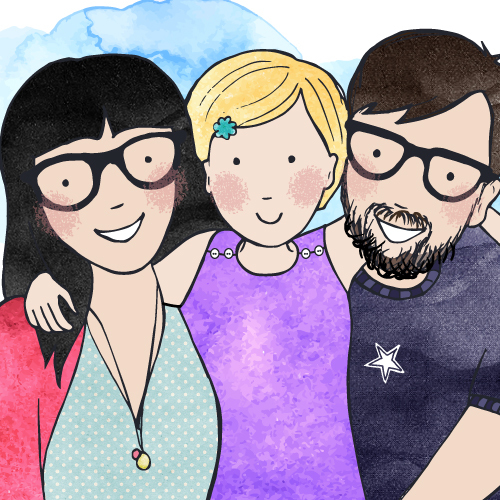 My mummy joins in with a crafty #somum Twitter make-date every month organised by Pippa at Story of Mum. So we used our collected leaves to join in with this months activity, making Natural Mandalas. Mandalas are produced by repeating patterns in order to create a bit of art. It’s great for relaxation and is very therapeutic. We often find cool activities though our #Somum make dates. It’s nice we can make use of the leaves we’ve collected. You can read more about Story of Mum here. We laid out our bounty and made pretty shapes on the carpet. 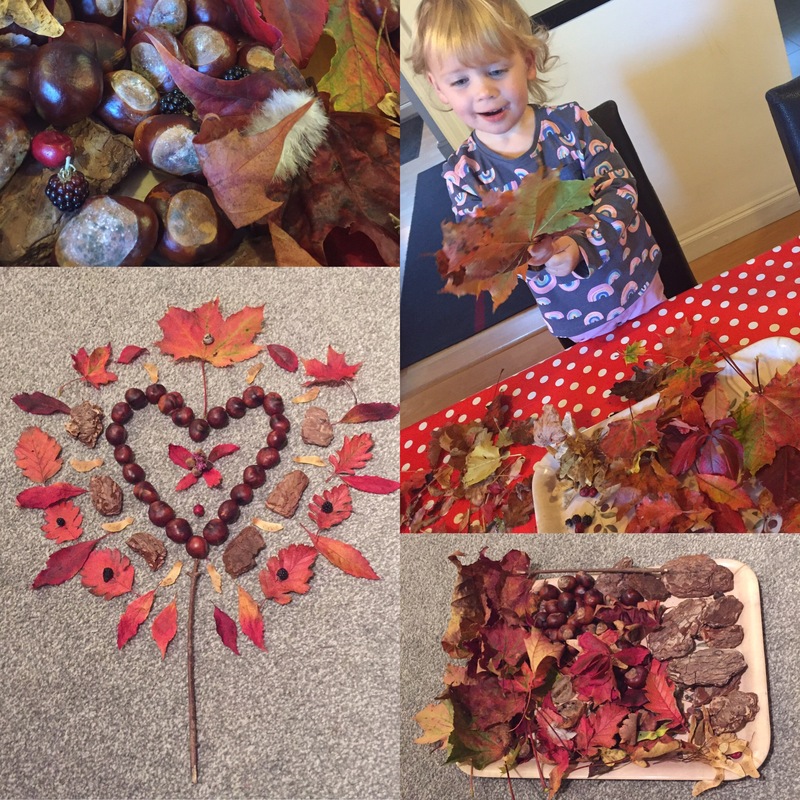 I helped make the conker heart while my mummy added the leaves and embellished with twigs and berries. We had a really good time collecting our items and making our land art. Next time we are out and about we’re going to make one on the grass in the park for someone else to find and hopefully it will brightening up their day. 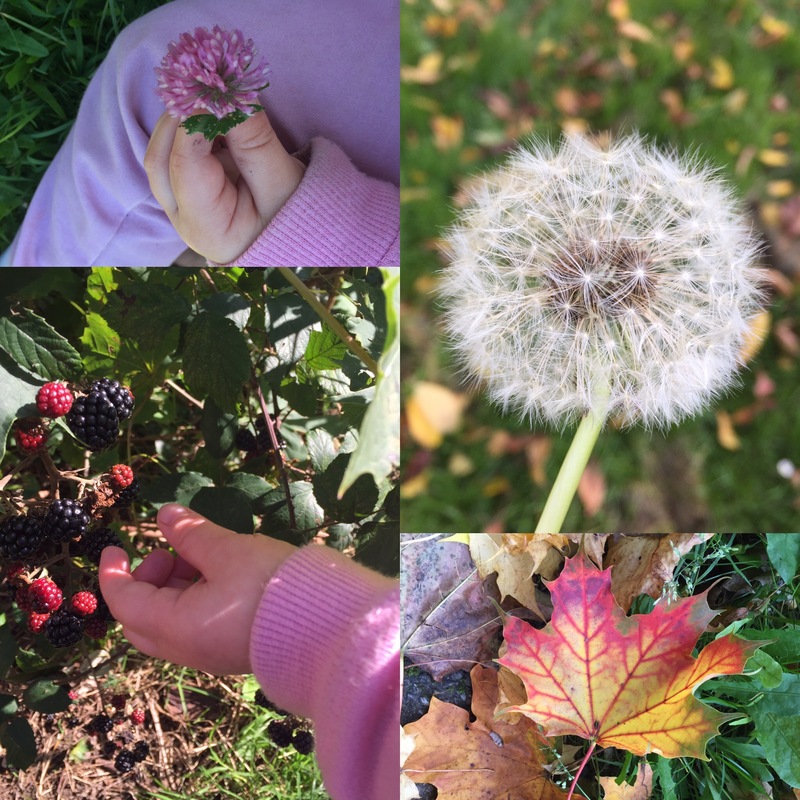 It’s a really good free activity to do with children and gets them outside playing and foraging (a bit like a treasure hunt) and it’s great for their creativity afterwards when they make some art with what they’ve collected. 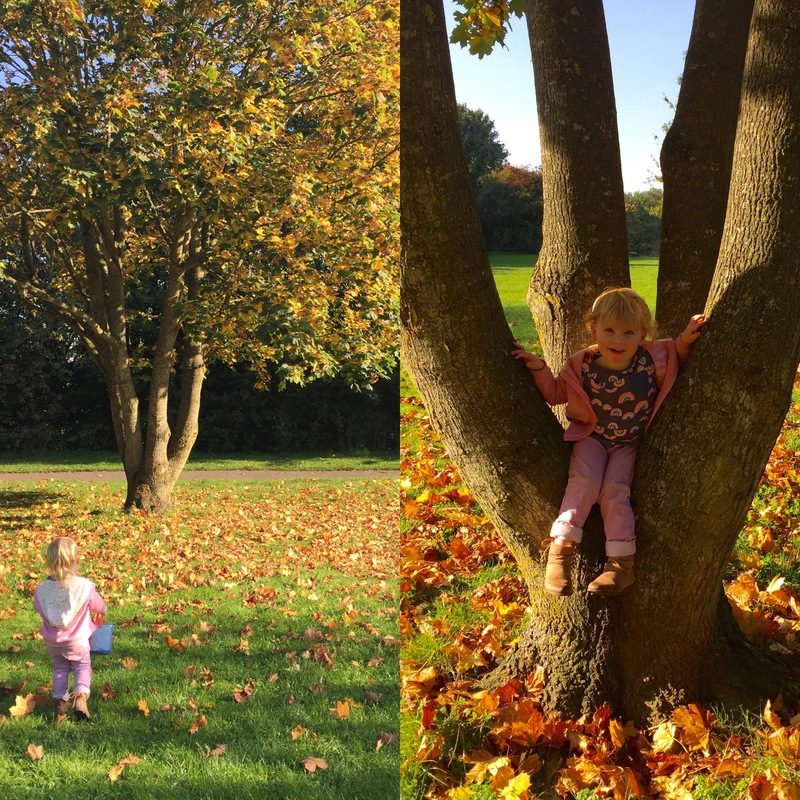 Lovely photos, all those autumnal colours, such a lovely idea to leave some art for someone else in the park too! such a lovely autumn scavenger hunt. I love all the things you have found and made and what beautiful photos, it has been the kindest autumn I remember for years with lovely mild days perfect for woods and parkland visits. I look forward to seeing this one on Country Kids. Thank you for popping over, tonsillitis is not fun! I hope you are feeling better. Everything is lookng so lovely at the moment, I love all the colours. Thank you! I’m feeling a bit better thanks! Beautiful photos. Love the mandala and the idea of leaving one in the park is lovely! What a gorgeous walk. Your mandala looks lovely. I love your autumn mandala, it looks beautiful! 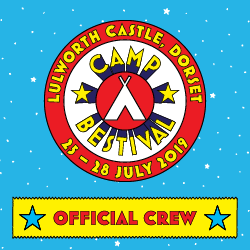 I’ve been meaning to make one with the boys too, maybe we shall do that on the grass somewhere for someone to find, I love that idea! Beautiful photos too! When I was little helicopter leaves were one of my most favourite things about autumn, as well as conkers of course 🙂 looks like such a nice walk even if it was a local one! I’ve been snoring like a trooper so still a bit bunged up! Apparently I sound like my daddy! !